SolarWinds Server & Application Monitor provides deep SQL server performance monitoring with AppInsight for SQL. This feature provides sysadmins, developers and DBAs an with a well thought out dashboard for identifying and troubleshooting SQL server performance issues. With AppInsight for SQL you can get instant insight into the most expensive queries, database and log file size trends, index fragmentation issues, SQL server error logs, SQL agent job status, storage performance & more! Poorly performing SQL databases can cause major issues for your applications. Without the right tool, it can take days to troubleshoot the problem. 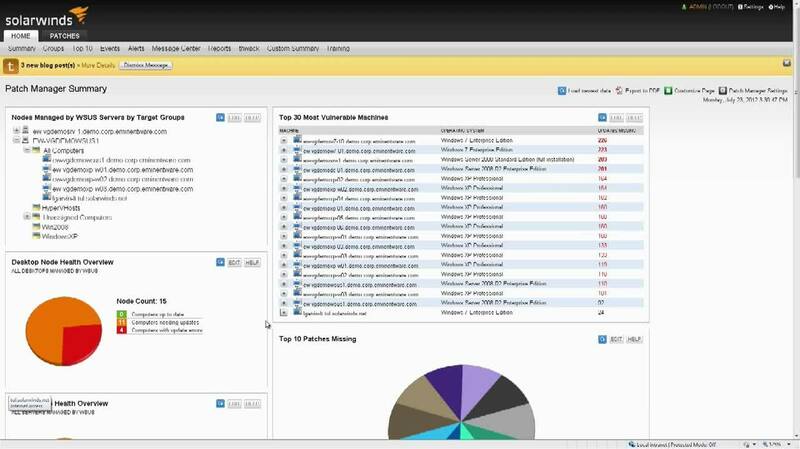 AppInsight for SQL, a feature of SolarWinds® Server & Application Monitor, provides a radically new way of identifying and troubleshooting SQL performance issues. 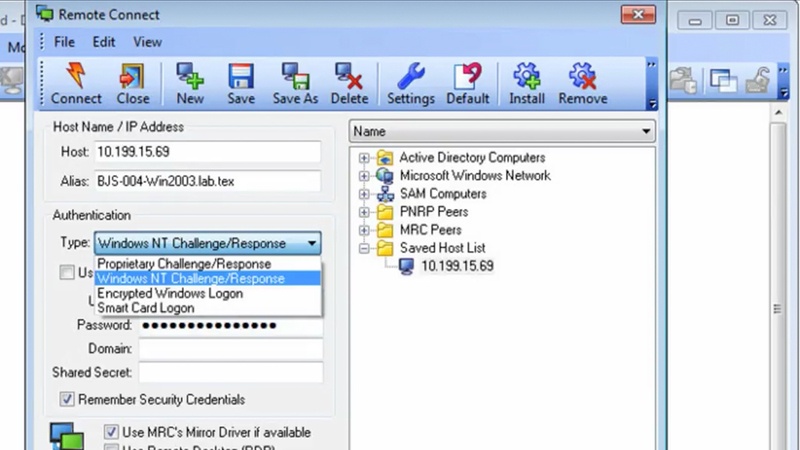 Let's take a look at some of the most common performance challenges and how you can quickly spot them. The biggest problem you might encounter with SQL is running out of space in the database or disk. When you drill into the database that is having the problem, you can quickly view capacity information by clicking the Data File Size resource. A database that has become too large can cause strains on memory and CPU. Additionally, log file size growth can slow down critical database operations. 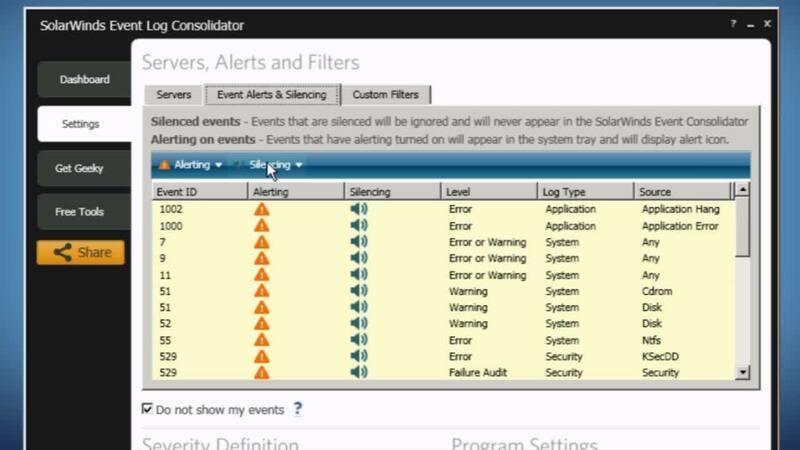 This view can be used to configure alerts and other conditions. These alerts are set from statistically generated thresholds from baseline performance. To get ahead of unexpected database growth, set the alert to check if the database has grown a large percentage over the last 24 hours. 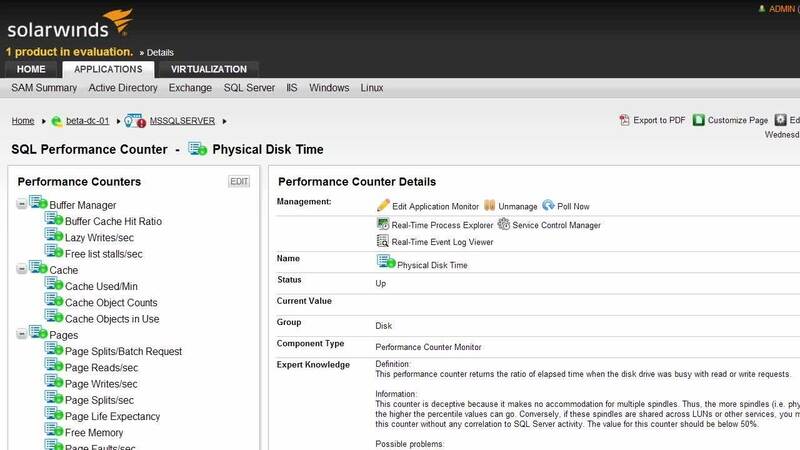 Scrolling down in this dashboard you can get detailed views of storage performance, such as read/write latency to help determine if your storage disks are causing a performance problem. Here you can see the last 24 hours. And here you can get additional information by using the horizontal scroll bar. Another large issue with SQL performance is index fragmentation. Index fragmentation can slow down search operations and also cause additional use of disk space. This view quickly points to the top clustered and unclustered indexes by fragmentation. Many times the reason for a spike in SQL server CPU usage is due to an expensive query. Here you can quickly see the most expensive queries by CPU time. You can also view the most expensive queries for the SQL instance and see more detailed performance for each query to include duration, and then drill into see the specific query details. Often, a problem with SQL is that the agent job did not complete operations - it might be stuck in executing status or there could be a job error. Here you can view SQL agent job status and and be alerted when a job fails. you can also view the SQL error logs to determine problems with authentication and so on. AppInsight for SQL collects performance data for over 100 metrics and provides web-based SQL reporting. Get visibility today - download and uncover SQL performance in about an hour.